Old Dominion Electric Cooperative (ODEC) built a new, 1,000 megawatt power generation facility in Cecil County, MD. Construction on the Wildcat Point Generation Facility began in 2014. The plant was operational in April 2018 and is now the largest power plant in northeastern Maryland/Delaware. 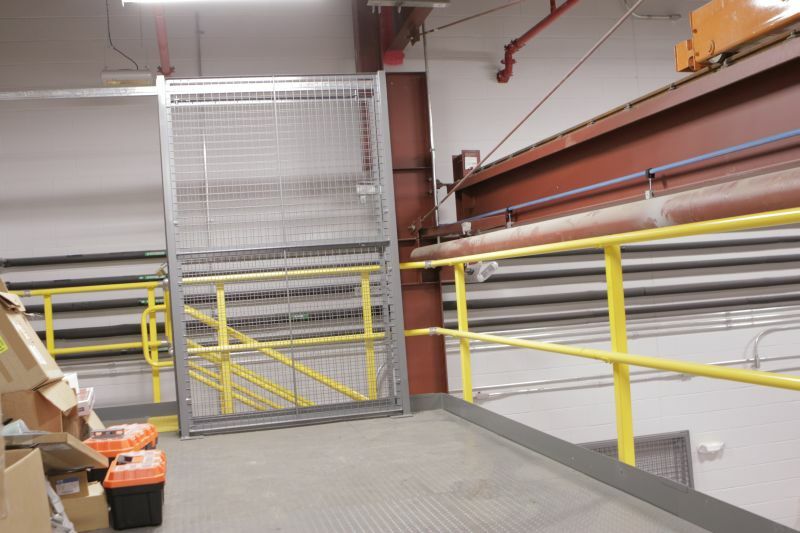 ODEC’s Maintenance Manager, Mark Lancaster, and Materials/Purchasing Coordinator, Paul Hanson, were tasked with outfitting the maintenance facility and warehouse with shelving and tool storage. Paul reached out to several vendors and, after receiving several bids, he decided to hire J&J for the project. 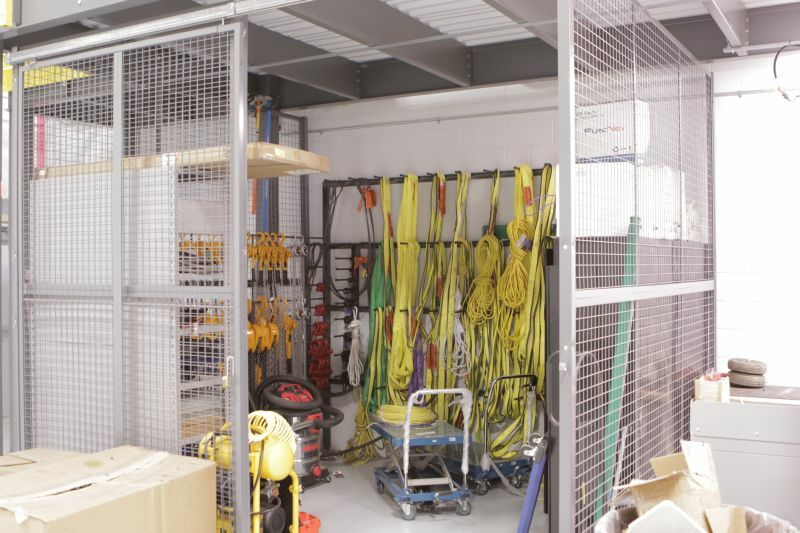 Paul and Mark approached J&J because they had an empty warehouse, a mechanical shop, and a need for a tool storage room. 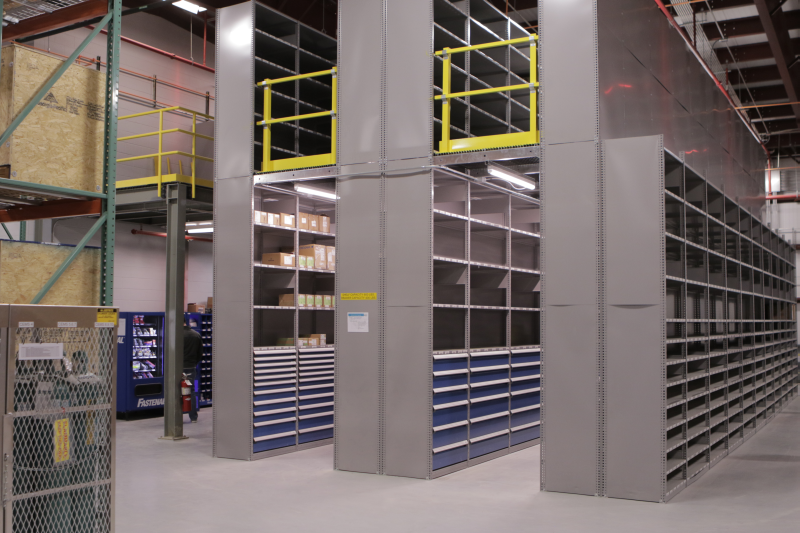 They were looking to outfit the entire warehouse and maintenance areas with shelving and secure tool storage cabinets. One problem was that they didn’t have enough floor space for a tool room. Another challenge for Paul and Mark was finding the right vendor to work with. Mark commented that other vendors had disappointed them in the past because communication wasn’t the greatest, but he learned quickly that was not going to be the case with J&J. The ODEC Wildcat Point generation facility. Our sales consultant, Aaron Morey, made several site visits to meet with Mark and Paul at the ODEC plant to discuss their needs and to provide options that best suited the project. 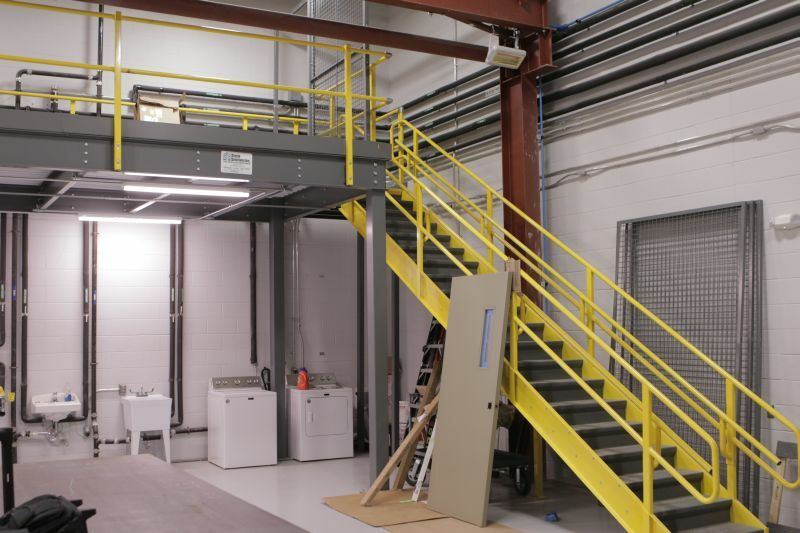 Through those discussions, they decided to build a mezzanine in the maintenance area for storing tools and other supplies, since floor space was not available. 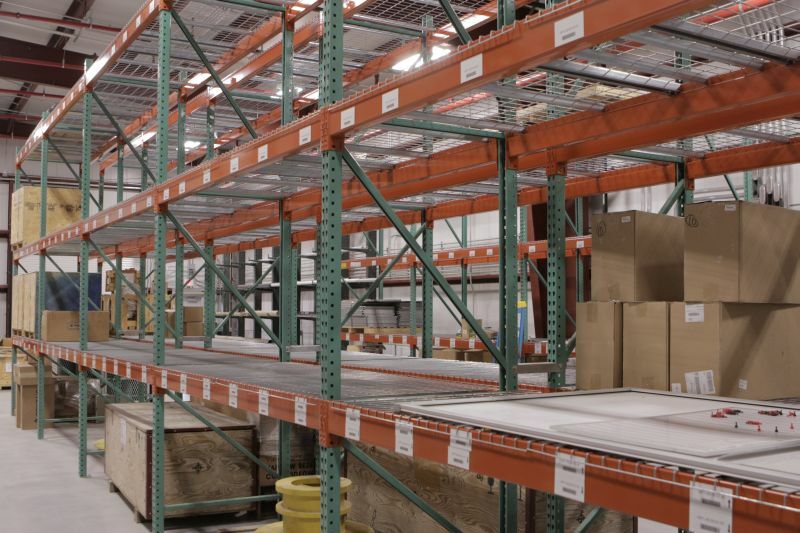 Shelving was also needed for the warehouse. 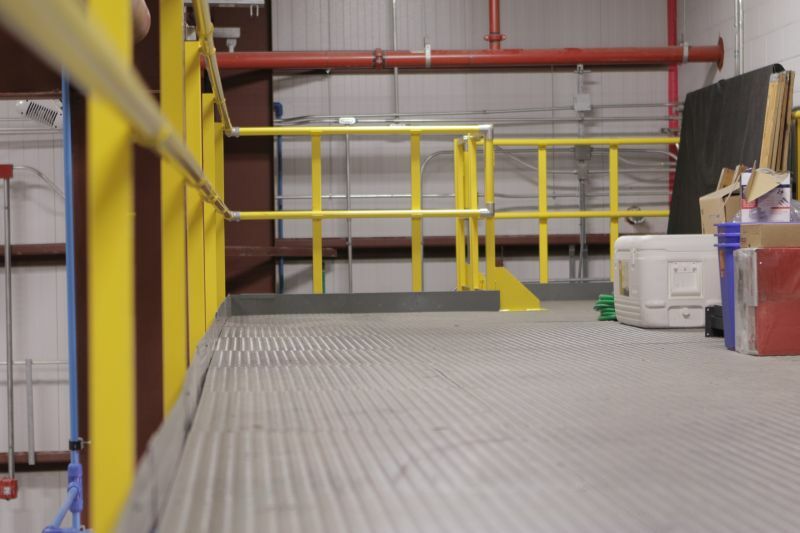 Paul and Mark were so pleased with the partnership, communication, and quality of work that they have continued to approach J&J as new storage or material handling needs arise at their facility. Visit our services page to see all material handling services we provide.